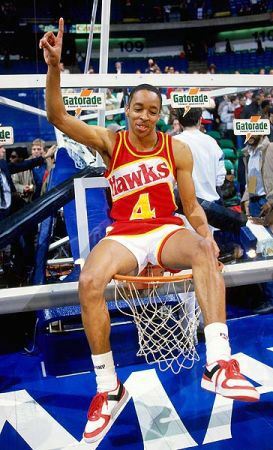 What started out as a novelty act, the 5′ 7″ point guard for the Hawks who was rumored to have serious bunnies, turned into something completely ludicrous as the week led up to the event. What we all forgot , and he and his teammates who watched him every day in practice knew, is he was coming home, and he was going to give us a show. I was in the house that day. Reunion Arena, 1986. The Mavericks were only 6 years into their existence and professional basketball in Dallas was becoming THE sport to be seen at. As the participants warmed up, it was “cute” to root for Spud, but I was a Nique fan. I wanted a repeat. I should have listened. Highlight told us it was Spud’s to lose, and we all argued, just like the first sentence of this article. 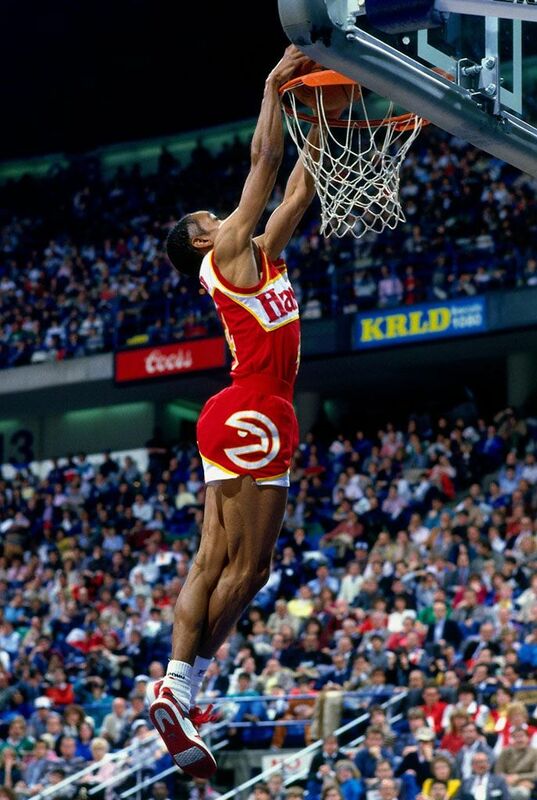 Almost all of his dunks were off of the bounce, thrown high towards the rafters and spot on for the dunk. He would jump, up, up, up, and seemingly never, EVER land. Look at the pictures. That is hops. As I sat in the crowd that day, watching my hero smile as he was defeated, I had visions. I was 5′ 7″, just like Spud. I was a point guard, just like him. And I wore Pony City Wings for basketball that year, just like him. I began working, that day, towards one goal – dunking as soon as possible, and I did it three years later. But I cheated – I had grown to 5 ’10”. 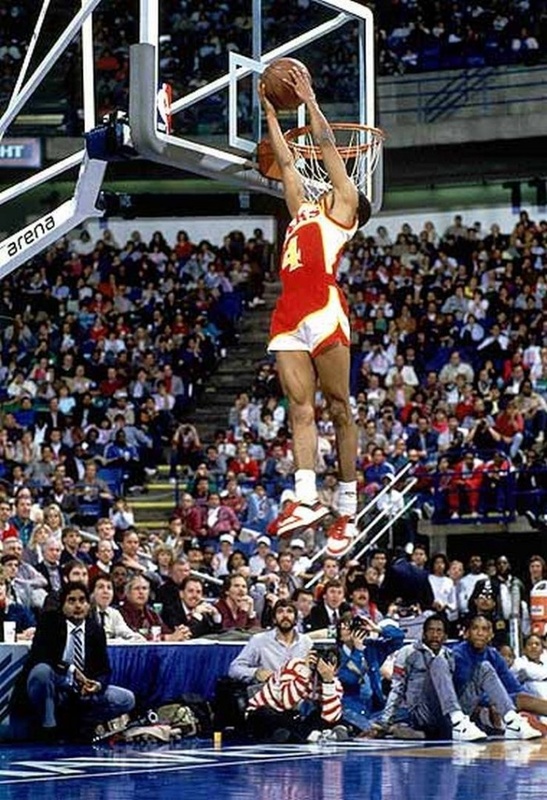 For all the kids in the crowd that day, or watching at home, who became fans of Webb with every bouncing, twisting, impossible jump, we thank you, Anthony Webb, for inspiring the “little” men to rise to the challenge. What's The Point of a Signature Sneaker?